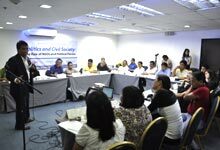 The role of political parties and civil society as instruments to propel liberal principles and reforms in the Philippines was illuminated in a three-day seminar held last May 4-6 in Ortigas Center, Pasig City. Prominent liberal stalwarts, Deputy Speaker Lorenzo “Erin” Tañada and CALD Secretary-General Dr. Nereus “Neric” Acosta, were two of the remarkable speakers who imparted valuable lessons on lobbying advocacies and cooperation between political parties and civil society, respectively. The seminar entitled “Politics and Civil Society: The role of NGOs and Political Parties”, was a replication of a 2-week seminar conducted at the International Academy for Leadership of the Friedrich Naumann Foundation (FNF) in Gummersbach, Germany. It sought to localize the program and share the know-how and experiences learned from Germany, and apply these in the Philippines. Twenty-one participants immersed in politics and civil society arenas, from different regions in the Philippines, actively took part in the 3-day event. Dr. Nereus "Neric" Acosta addressing the seminar participants. The interesting mix of participants was composed of civil society members who work for different advocacies such as legal rights, democratic reforms, volunteerism and peace-- and local government officials that include vice mayors and board members from various regions. This activity had four primary aims: to provide the participants with an understanding of the concept of liberalism and its ideological underpinnings and significance to their respective functions and advocacies; to assist in effective and purposeful building of linkages between political parties and civil society; to assess the country’s level of democracy based on the functions and performance of political parties and NGOs; and to present recommendations on how to integrate the work of the two in terms of pushing for liberal reforms. To achieve the aforesaid objectives, notable and experienced resource speakers from the realms of academe, media, government and civil society, provided inputs that facilitated meaningful discussions among the participants. The line-up of topics tried to inculcate stronger values and strategies for citizens’ involvement in pushing for reforms and democracy building. 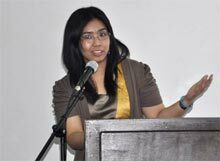 Speaking about reforms in the budget and public expenditure process was Assistant Secretary and Chief of Staff Clare Amador of the Department of Budget and Management (DBM). 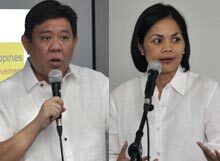 Coming from a “culture that has prevented public funds and prosperity from reaching the sectors which need them the most,” Ms. Amador articulated the new direction that the DBM takes to rectify the corrupt ways of the previous administration. “We pursue reforms by putting the people at the very heart of the budget process, by establishing a budget process that is maka-TAO (people-oriented). 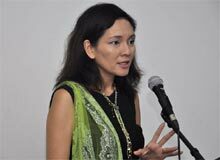 Such a budget process is Transparent, Accountable and inclusive or Open to citizen participation,” Ms. Amador articulated. Elevating civil society and government leaders’ involvement in the legislative arena, Deputy Speaker and Fourth District of Quezon Representative Lorenzo “Erin” Tañada gave the participants practical and helpful tips on how to get their advocacies to the legislative floor, and straight to the president’s table. 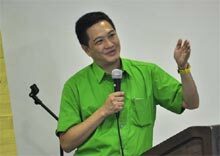 Laying the liberal ground for the 3-day seminar was Dr. Julio Teehankee, Chair of the Department of International Studies at the De La Salle University- Manila. It was followed by presentations of intensive study on political parties’ performance and development of civil society in the Philippines. A clever talk on the changing nature of political communication by Ms. Glenda Gloria, Executive Director of Newsbreak riveted the participants. “[The voices online] are voices that praise authenticity, could smell inconsistency, and won’t hesitate to unmask what your PR [public relations] handlers have tried to hide for the longest time,” she stated. Moving from history of political parties and NGOs in the Philippines to natural tension and mutual interdependence of the two institutions, Rep. Risa Hontiveros-Baraquel, IAF alumna herself, discussed about civil society narcissism and its reforms while former LP Director General and now Undersecretary of Political Affairs Chito Gascon spoke about political party reforms that include increased civic participation. Collaborative work methods such as the Open Space and World Café facilitated engaging and substantive discussions among the participants as they exchanged thoughts on how to make NGOs and political parties complementary liberal change agents, and how to professionalize and establish transparency and accountability mechanisms in these two sectors. FNF Philippines Country Director Mr. Jules Maaten also led a session on international networking wherein he thoroughly discussed overseas development aid and political foundations. He laid down the dynamics among local and international organizations and the government in furthering development initiatives. Mr. Maaten also conveyed possible ways for the government and civil society to strengthen and broaden their international network that is seen as breeding ground for development opportunities. “[One] should look at more opportunities-- the NGO sectors here are fantastically organized, compared to Europe, that’s really worthwhile. And the Liberal Party, where there are so many committed people, who are in the government, not for the money, but because they want to change something,” Mr. Maaten articulated. The Country Director lauded the participants’ enthusiasm and substantial inputs throughout the seminar. “I believe that what you’ve contributed in this endeavor is a verification of your ability to be catalysts for furthering needed reforms in the Philippines under a liberal government,” Mr. Maaten said. Prof. Mario Taguiwalo, Ms. Concepcion Asis, Assistant Secretary Rolando Acosta, Ms. Joy Aceron, Mr. Gerardo Bulatao, Mr. Henry Bacurnay, Mr. Benedict Balderrama and Dr. Antonio Uy. were among the distinguished speakers and facilitators who imparted significant lessons on advancing liberal reforms through collaboration between political parties and NGOs. This seminar on politics and civil society was a joint effort of the Friedrich Naumann Foundation for Liberty Philippine Office and Libertas’ Executive Director and IAF Alumnus, Atty. Roberto “Totsie” Cadiz.